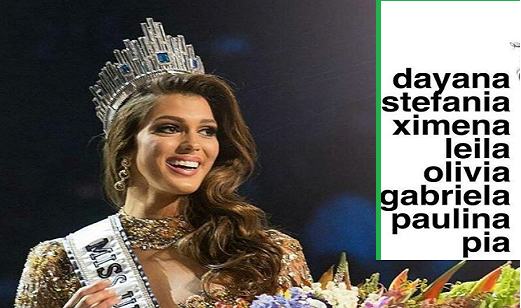 The new queen Iris Mittenaere made another kind of Miss Universe history, breaking the letter "A" winnable pattern. Since 2008, winners' first names ended with letter A! Well, this just pure coincidence of course. Congratulations again Miss France Iris Mittenaere! Mabuhay Europe!